In the past few years, the popularity of Bitcoin gambling has been growing rapidly, and so did the number of crypto casinos. Thanks to their nearly instant transactions, provably fair games, and genuinely safe gambling environment, Bitcoin casinos have been taking over the gambling industry by the storm. Today, we are reviewing a site that is one of the best examples of this, Stake Casino. So what does this platform offer that others don’t? Well, if you want to find out keep reading this Stake Casino review, and you will learn everything about their games, promotions, payment methods, and much, much more. Enjoy! In comparison to other BTC casinos, the game selection here is quite limited. To be more precise, at the time of writing this Stake.com review, there are only 11 games. You will get to play blackjack, roulette, mines, plinko, Diamond Poker, keno, baccarat, Chartbet, Hilo, and two versions of dice. Although there isn’t a wide selection of games, all of them are provably fair and have a unique design. Plus, Stake officials have announced a couple of new games, most notably the Wheel. While Stake doesn’t feature standard bonuses and promotions, the casino does offer a rewarding faucet system. If you create an account on the Stake casino website, you will be able to claim free BTC from time to time. Just an FYI, the amount depends on a couple of factors. For example, setting up two-step verification, confirming your email address, creating a password, etc. will increase the amount of BTC you receive per faucet claim. When it comes to visuals, this casino probably has one of the cleanest and most intuitive designs we have come across. They have a gorgeous interface with popping colors, plus you can switch between the light and dark mode. On the technical side, Stake.com is perfectly optimized for all types of devices, regardless of the screen size and operating system. Therefore, it doesn’t matter if you prefer to gamble from your smartphone, tablet, or computer; you won’t experience any difference in the performance of the casino. Additionally, even though they don’t have an app, the website is fully responsive and all games run flawlessly from your mobile browser. Out of all Bitcoin casinos, Stake puts the biggest emphasis on the community. You see, they want their players to interact and share experiences, and to do that, they have a couple of options. First, you can chat with your peers via live chat, which is active by default. On the other hand, if you are an old-school gambler, you can join and create threads on Stake.com forum, and share anything you deem worthy. Moreover, for any question and issue you might have, you can contact support agents through live chat. When it comes to making deposits and withdrawals at Stake.com, Bitcoin and Ethereum are your options. While these two are the most used coins, we would like to see some more additions like Bitcoin Cash. Of course, this being a cryptocurrency gambling platform, they offer complete anonymity and nearly instant transactions. One of the most essential features of crypto casinos is a provably fair system. This allows users to verify whether a casino is messing with outcomes or not. We are happy to report that Stake features such a system, and to this day, they didn’t have an incident. Finally, Stake is as transparent as it gets with its players, so you will be able to see house edges for all games, as well as, recent winners and losers on the site. So should you stake your BTC here? Given all the features we listed in this Stake Casino review, we would conclude that you should definitely try this casino. After all, they offer unique and provably fair games, rewarding faucets, and all other benefits that come with a crypto casino. Sure, their game library is small, and they accept only two cryptocurrencies. 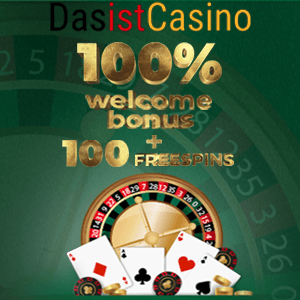 However, if you are not looking for hundreds of 3D slots, then you will have a ton of fun here. On the other hand, if you do, you can find numerous reviews for such casinos here at Bitfortune.